Poetry. Through the use of nuanced observation, rich language, and an original voice, Elline Lipkin explores contemporary womanhood, the concerns of travel, cross-cultural themes and family legacy. 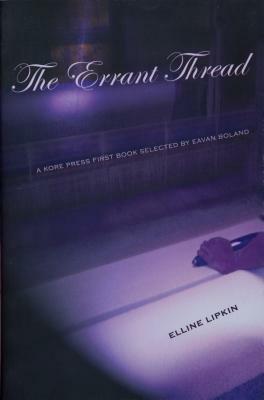 Recalling the feminist themes of Adrienne Rich, the steely resolve of Sylvia Plath, and the feeling for loss and spliced cultural heritage that Eavan Boland expresses, this work serves as the next link in a lineage of women poets. In poems such as "Response to Miss Havisham" and "Ars Poetica With Lines by Dickinson" the poet responds to her foremothers within the world of literature. Yet in poems such as "Rara Avis" and "At the Corner of Sunset and Morningside" she places herself uniquely within her own landscape, at her own desk, and in her own voice. Other poems such as "My Parents Meet at La Grande Place," or "My Grandfather's Last Bird" connect language and family as a fractured heritage, one that has allowed for "a split of words, a splice of vows," as the poet writes in "Sweet Asylum.